To return to the Home page, click or use the Back button on your browser. 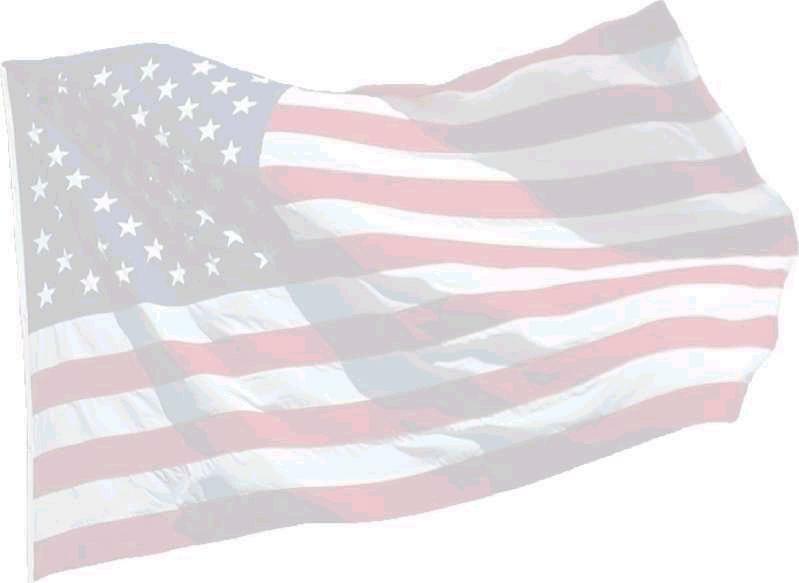 Political commentaries and old opinion pieces have been moved to the Archives page. Anyone who knows me will tell you that being outdoors & doing anything in the woods is probably my biggest passion. And while fall is my favorite time of year – I enjoy the woods in every season and with all my senses. The springtime fragrance of rain, the splash of color from new flowers, the vivid greenness of new growth and the feel of soft dirt refreshes my spirit. I love the summertime heat, the scent of dew and earth and sounds of birds and animals going about their business with leisure but purpose. The fall is a symphony of sound, scents and actions as birds migrate south, animals scurry about preparing for the coming cold and the plants surrender their green for striking and vibrant autumn colors. The hunting seasons are all open and there is never enough time to enjoy them all. The then there is winter. I often dreaded winter – it’s harsh and bitter cold, the piercing winds, the extra layers of clothing required and the lack of visible life in the natural world. It seems as if the world has gone into a coma, a deep sleep covered in a thick and frozen blanket and it has taken all the animals with it. I seldom ventured into the woods in winter – there was nothing to hunt & wading through the deep snow made even a simple walk into a tiring workout. Everything seems more difficult in the winter and requires so much more effort. Why bother? Over the last few years, and especially this year, I have rediscovered the quiet and hidden beauty of being in the winter woods. Needing some motivation and purpose to get me over the obstacles and into the snowy season, I decided to start hunting crows during the winter season. 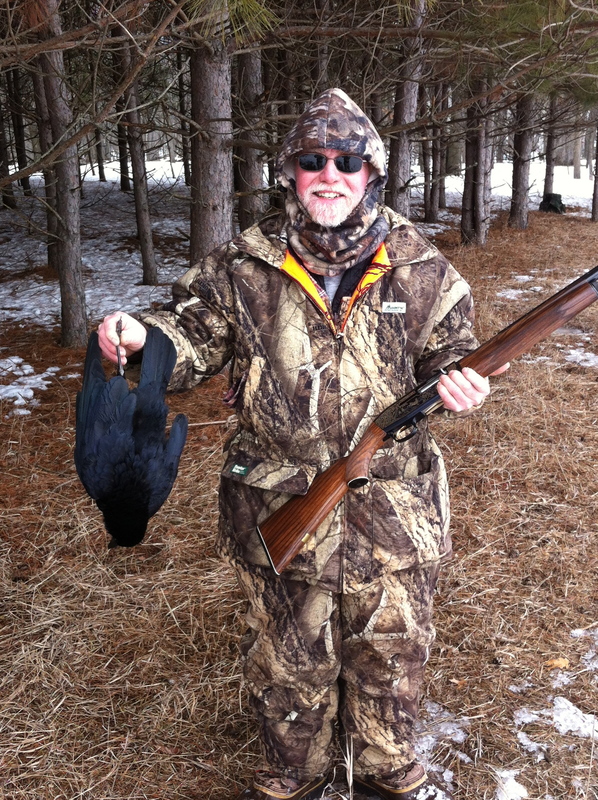 Crow season in WI is a dual season. The fall season runs from mid-September thru mid-November – the precise time I am deer hunting. But the winter season runs from Jan 18 – March 20th – a time when almost no one else is in the woods and I can pursue this crafty and challenging bird in relative solitude. And the winter woods seems perfectly suited to this bird. Winter is the monochromatic season – a study in black and white. What isn’t covered in white is typically some shade of black and the crow fits into this colorless landscape as if it were designed for it. And I am not. 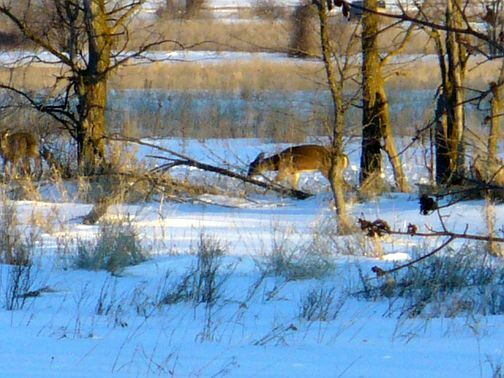 Concealment and camouflage in the winter is much more difficult than in the fall deer hunt or spring turkey season. 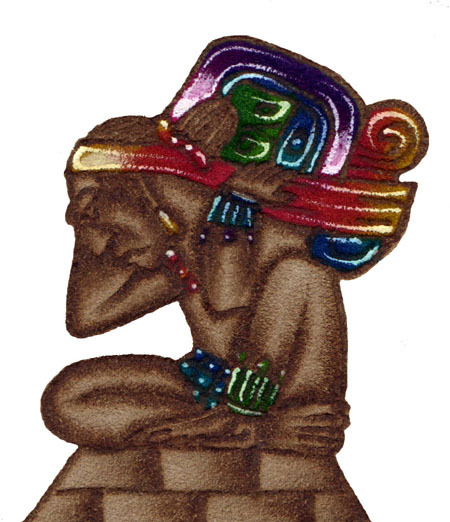 There is little to break up one’s outline and the human form is easily spotted by the crow’s sharp eyes. 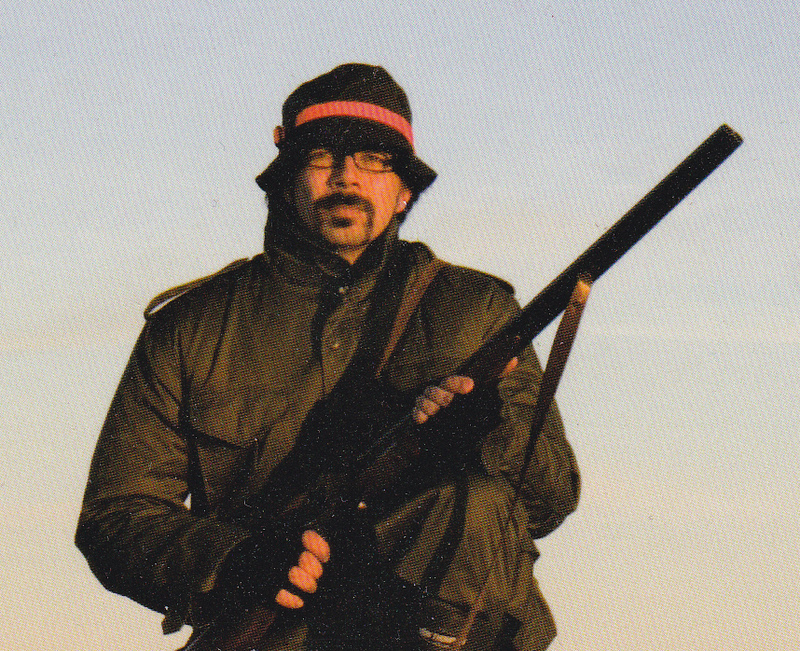 The edge definitely goes to the crow in this hunt. My first time out was with my buddy from Denmark, Svend. An artist and crow enthusiast, he’s the person that initiated this desire to pursue the “harbinger of death”, so it seems appropriate that we hunted together on his first crow hunt in America. Trudging thru the snow to the woods at the back of my friends land, we set out some decoys and started doing some calling. With little response and no shooting, we split up and tried a different strategy. Walking thru the woods and stopping to respond to the distant “Kaww, Kaww” of the resident crows, I saw a black bird flying my direction. 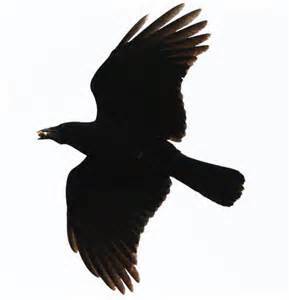 As he approached in silence, scanning the woods below him for the unseen new crow in his neighborhood - I hid behind a tree and as he flew past an opening in the branches above me, I shot. Instantly he folded and fell to earth, landing softly in the snow with an audible thud. As I stood there congratulating myself on a good shot, gently carried on the silent air currents was a lone black feather – an epitaph to the fallen prey. I had gotten my first crow. But after more calling and talking with the crows, we were unable to convince them to return for a visit. No more crows would be fooled today and none the next day either. Svend returned to Denmark and I had found a new pursuit for the winter months. Not to be deterred by our meager success, I picked up a couple new crow calls and a snow camo poncho to cover my hunting clothes, grabbed some shells, my shot gun, my snowshoes and a few decoys and into the cold and knee deep snow I plodded the following weekend. This time setting out on some public hunting property, I hoped to find some crows more easily fooled by my inexperienced calling. I lured in 2 crows, missed the first shot and a stuck shell prevented me from taking a 2nd shot. Once again, after shooting just one time – no more crows were to be tricked here. Now just to clarify, I am not a wing shooter by nature. It has been decades since I walked the CRP land of southern Illinois with my dad and brother pheasant hunting. I can count the number of time I have shot trap on 1 hand and not with great prowess. Give me a bow and arrow or rifle and I can drill the target – but shooting flying critters has never been my strong suit. But, “nothing ventured, nothing gained” as the saying goes, right? The winter wood is a place of contradictions and contrast. 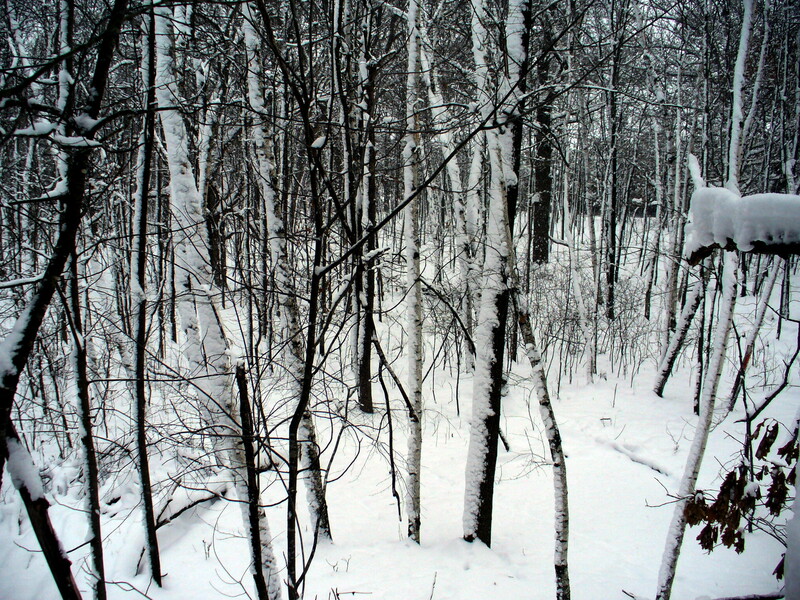 The pure white snow smothers everything horizontal while the black trunks of tress stand vertical in defiance. Sounds are muffled by the snow and the quiet engulfs you, but noises and voices carry great distances in the leafless landscape and the silence seems to amplify small sounds that would go unheard in the summer woods. As I sit in the snow and listen for the crows, I can hear the wing beats of the woodpecker as he flies by. His toes scratch in the bark of the hickory tree as he hunts for tiny insects. Soaring overhead in a bright blue sky, a redtail hawk makes his screeching cry as he looks for an unobservant squirrel or careless mouse to fill his belly. The breeze makes the pines whisper and rattles the dry leaves still clinging to the old oak tree as it blows through the woods. And the smell of the winter woods is almost non-existent. It is a crisp and clean scent, sharp and cold in the nostrils, but without the fragrance of the other seasons. The woods in winter is an unforgiving place and those animals not able to migrate to warmer climates for the winter must be alert and aware to survive. Once again, the crow seems well adapted for this environment. Sharp eyed and not easily fooled, and rarely fooled twice I discovered, they make the hunt a challenge and are a most admirable adversary in this season of black and white. And while on this day no crows were felled from the sky, it was a very successful hunt. My spirit was refreshed and I was rewarded with one of those dramatic winter sunsets that seem to linger for hours, growing more colorful as the minutes passed, reflecting the fading rays on the sky and clouds above me until it slowly faded into dark. I hadn’t gone far into the field when I realized leaving my snowshoes in the truck was a big mistake. While at first the snow appeared to have enough of a crust to support my weight, it didn’t take long to discover how wrong an assumption that was. Breaking thru the snow at irregular intervals made the trek back to the woods harder than I expected, but not impossible, so I plodded on. Rabbit tracks were everywhere in the new snow and only rarely did they break thru the crust. And mingled among them were the straight line of coyote tracks looking for something to quench their insatiable winter hunger, zigzagging here and there as they followed the scent of a potential meal. Like me, they broke thru the snow frequently and like me, they continued on their quest. Winter is not a time for slackers of any species; every meal is hard earned and scant. It is a time when animals live at the very edge of survival – still months away are the longer days of spring and the succulent food that comes with the rain. Here, where the marsh meets the woods, I find some red willows stripped of their bark by deer – hardly a filling or nutritious meal for an animal their size. Under the branches of the scrub oak and looking out over the field is the compressed snow where they rested for a night, three beds close together would likely be a doe and her offspring or siblings. The tracks of a passing flock of turkeys were here, too. Every animal was searching for something to eat in this unfriendly time of year and at the same time - trying not to be on the menu of another. Predators and prey, kill or be killed, eat or be eaten – this is the natural order of things and is the basic foundation of all Life. The rabbit eats the willow, the coyote eats the rabbit ~ the squirrel eats the acorns, the fox eats the squirrel, the mouse pokes his head above the snow and a sharp-eyed hawk gets to eat today. The circle of life includes all living things – none are exempt from playing their part. 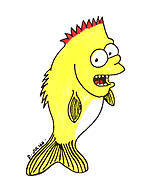 We eat something to live and for that to happen, something must die. Winter helps to thin the herd, removing the sick and injured and stupid from the gene pool, but adds them to the food chain for the fortunate survivors. This is a necessary time of cleansing for the natural world and in so doing, makes every survivor stronger. The woods are where the tracks of its small inhabitants are most plentiful. It’s easy to see why - this is where the food is more easily found and this is where the best places to hide and escape are. The openness of the snow crusted marsh is a death trap for the small critters with escape from the ever present predators almost non-existent. Even the fox cross quickly – his tracks tell me that he was moving at a steady lope, perhaps sensing that there was little food to be found here and great peril for him to be so exposed. The track of the coyote is more deliberate and straight. He has little to fear from any of the other animals here. His track jogs only to investigate the occasional small clumps of grass as he searches for a careless mouse. Pieces of fur and blood on the snow are evidence that one less rabbit lives here now. 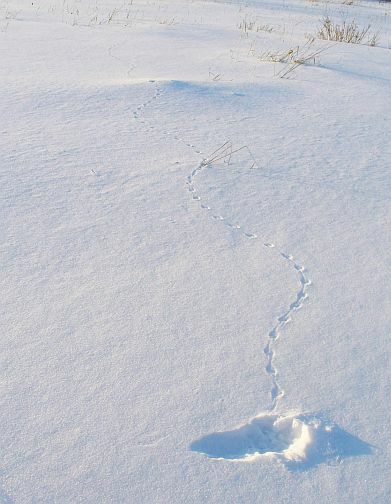 A mouse or vole decided to leave his tunnels in the grass beneath the snow cross the frozen expanse of white for some purpose known only to him. The trail he left moved from clump to clump of grass as he attempted to conceal his movements. But his trail ends in a large divot in the snow, scooped out as a hawk or owl snatched him from the frozen surface without missing a wing beat. A graceful swoop and grab for the bird of prey meant death from above for the unsuspecting rodent. Deer tracks are everywhere and I can tell by the depth and freshness of some that they were probably made just minutes ago by deer exiting the woods as I entered the other side. The tracks meander about inside the protection of the woods, but come together to form trails used frequently to enter and flee. Knowledge passed from one generation to the next, by some method we can’t know, tells them which path is safe and which is not. Deer are creatures of the woods edge – enjoying the security of the trees while scanning the open fields and marsh for potential danger. While few predators but man are capable of doing them much harm, still they harbor the natural fear of a prey species, a plant eater born with the instinct to run and hide at the first glimpse of a threat. The tracks in the snow tell the stories we seldom are witness to - the quest for food by all and the failure of some to survive. The snow records the passing by of each one until the sun dissolves the tracks or a new snow covers the evidence and a new chapter can be written in the fresh powder once more. 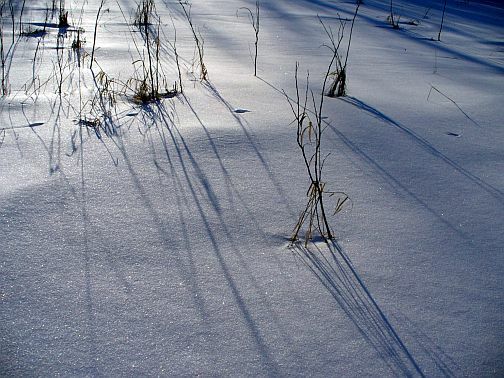 The sun is higher now as it arcs across the sky, but still casts its long winter shadows from every plant and object in the snowy landscape. 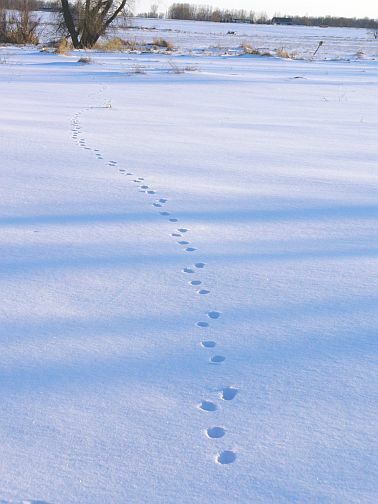 As I look back at my own track in the snow, I wonder how the residents of the woods and marsh will react when they come cross my trail. Will they pause to sniff and continue on their quest, or recoil at the scent of the passing visitor? The sun is low on the horizon as I snowshoe back to the truck. I pause to watch as a group of deer move out of the safety of a wooded area and into the marsh in their never ending search for food. Spring will be here soon and they will have new buds and grass to feed on and the new leaves will hide them from our sight. 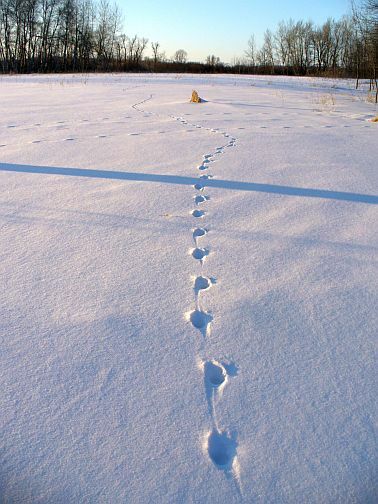 Until then, they will exist on the meager food they can find, leaving only tracks in the snow to tell their tale. Today is the last day of my first winter crow season and I have come to the conclusion that country crows are much smarter than their city dwelling counterparts. They have far better eyesight and a more highly developed sense of danger than the crows that live in town. Country crows spot movement, detect the presence of a gun and sense a set-up long before they are in shotgun range. City crows are either indifferent to danger or have lost all sense of it – they can be easily lured into close contact with humans. Perhaps their natural fear of man has been dulled by generations having lived without harm befalling them, but whatever the reason, their reaction and response show much less caution than their friends that live in the farm land. The last 2 days of the final weekend for this winter’s crow quest, I have tried both my new electronic caller and my standard lung powered mouth calls. Both would bring birds in and have them circling high overhead, but neither could seem capable enough to lure them into range. My decoy set-up did not appear to be very convincing either, or so the crows informed me. 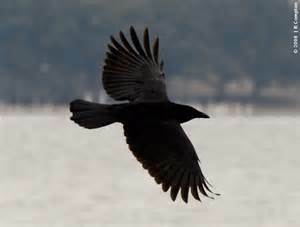 I have much to learn to become a successful crow hunter – that has been made obvious. But nonetheless, it’s been a great time to be afield. A few inches of fresh powder cover the crusty and dense snow that has fallen and compressed over the past few months. The sky is a clear blue and the sun is higher and brighter now, the days are longer and inevitably, eventually, later rather than sooner this year - the spring will come. The clumps of stubble and dried grasses will give way to new green and the branches on the trees will once again flow with new moisture pulled up from the melting snow as it soaks and softens the ground. So it is the natural way with all things – the old gives way to the new, the vanquished return to the soil and the melting snow quenches the thirst of the survivors and the world renews its cycle of Life. I came across the evidence of a skirmish in the snow. A mouse or maybe a vole, braved the exposure of the world above the snow and may have paid with his life. The small tracks wander on the surface of the snow, barely heavy enough to leave an impression. Next to his are the tracks of fox in hot pursuit. The mouse may have tried to dive back under the snow in an attempt to escape, but the hole with a pile to one side of quickly excavated snow tells me the fox hastily tried to dig the little critter out and secure his dinner. The mouse must have fled and a chase ensued - the circular tracks of the fox remain where he made a valiant effort to bring this meal home. No blood, no hair tell me the mouse may have won this round, but unless more caution is exercised - his short life may be even shorter. This crow season likely came and went without much notice from the vast majority of folks. It’s an obscure season for an unlikely quarry – a plain black bird hardly worth the trouble most would say and my results certainly do not give me any bragging rights. I have successful bagged only one single crow this year. And yet I found the hunt a true challenge and the effort worth the reward. Corvus brachyrhynchos – the American Crow – successfully lured me into the woods at a time of year I genuinely disliked. My satisfaction came not in the slim count of slain crows, but in the refreshing of my spirit, in seeing the evidence of the struggles of life and death, and renewing my sense of the amazing continuation of the circle of life. In a few weeks, flowers will begin to push from beneath the snow, awakened by some unseen force of nature that tells them their time has arrived. Soon the woods will be noisy with life, the breeding cycles will come and new hatches of birds will follow. Trees will flower and fruit, bushes will be covered with succulent leaves and the sparse diet of bitter bark and dry winter grass will be gone. Food will be plentiful again for those that made it thru the cold and I will once again look forward to being in the autumn woods. But in a small and quiet way – I will also look forward to the time when the woods are again in deep slumber beneath a heavy blanket of snow and the silent emptiness of winter returns. And I will return as well to test my skills against the black bird and challenge the elements in this white and frozen world. HOPE enough to remove all anxious fears concerning the future." I combined several different charts, did some math and came up with the following chart. 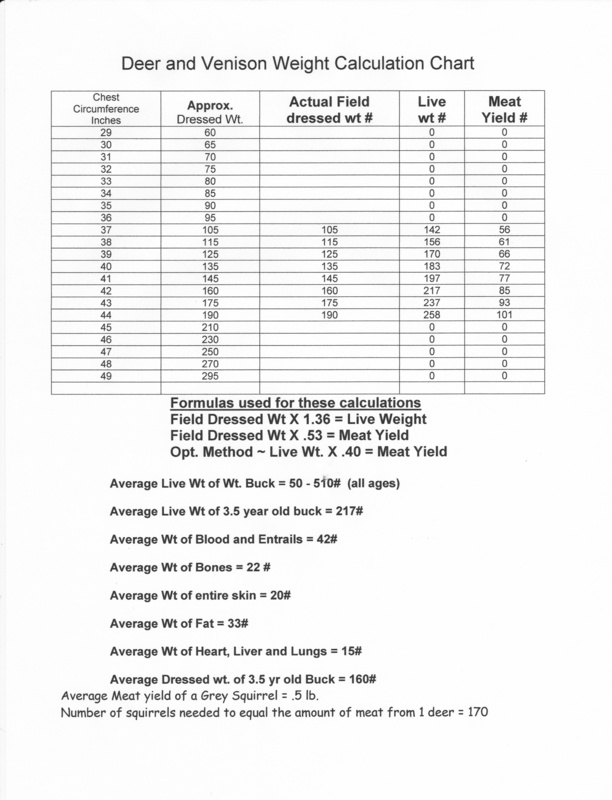 It's not exact, but should give you a good idea on meat yield, the live weight, etc. of your deer. Like everything on this web site & in my business, the opinions on this page are my own. You are welcome to disagree with me - I am always up for a lively debate of different and well considered ideas. But if your purpose in contacting me is to express outrage or to whine or express some zealot ideology or rant about your own personal agenda, then I really don't want to hear from you. Like all things in Life, try not to take yourself or this page too seriously.